Includes Free Grizzly Honey Dab Pen – Limited Time Only! 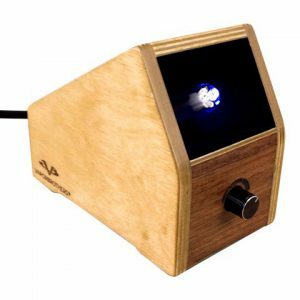 Similar to Volcano Classic Vaporizer, the Volcano Digit Vaporizer is one of the most illustrious, well-respected and technologically advanced oil and dry herb vaporizers that we can see on todays market. The Volcano Digit Vaporizer, which makes use of the same sleek cone structure, through its patented technology, expels toxins and other harmful byproducts of combustion (i.e., tars and other carcinogens) through a vaporizing process which intensifies the effects of the active ingredients released through the vapor by approximately 75 percent. The German hand-crafted Volcano Digit vape showcases new technology which disperses air enriched with the active ingredients of the dry herb which has been vaporized into a balloon through a valve. This continues until the balloon is filled. After the balloon has inflated, the valve can be detached and completely separated from the Volcano Digit. The vapor contents of the balloon can then be comfortably enjoyed completely independent from the vaporization process. The balloon allows for vapor storage for up to 8 hours. The new Volcano Digital Vaporizer comes with a prominent and fully customized digital temperature LED display system. This is really accessible as it allows for immediate and precise desired and actual operating temperatures. 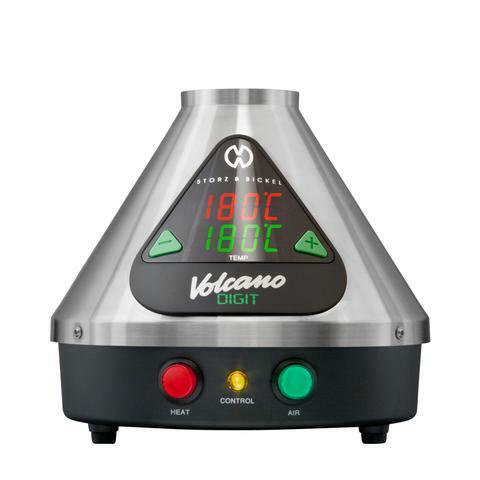 On the Volcano Digital Vaporizer, the temperature can range between 104 and 446 degrees Fahrenheit. After considering the temperature accuracy provided through the precision advanced electronic air temperature control and also the built in air filtration system, the Volcano Digital Vaporizer is without doubt the premiere choice for the true connoisseur. 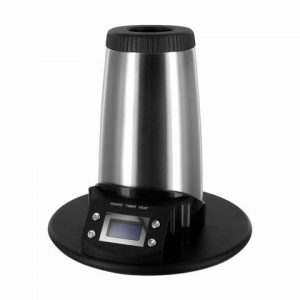 The great manufacturers of this product; Storz and bickel, also do portable vaporizers. Ventilation, great digital temperature display and advanced air heating control system. 1 x Balloon Set (Solid or Easy Valve).